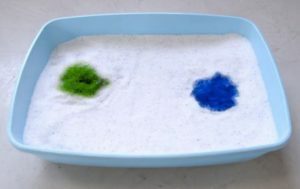 Well this one piqued my interest – a kitty litter that changes color alerting you to potential urinary health problems in your feline friends. Say what?! Apparently the patented product can detect changes in your kitty’s urine that can indicate disease.